Add a touch of the savannah into the heart of your home with this beautiful bold cheetah cushion from the ZSL and Sophie Allport Animals of the Savannah collection. 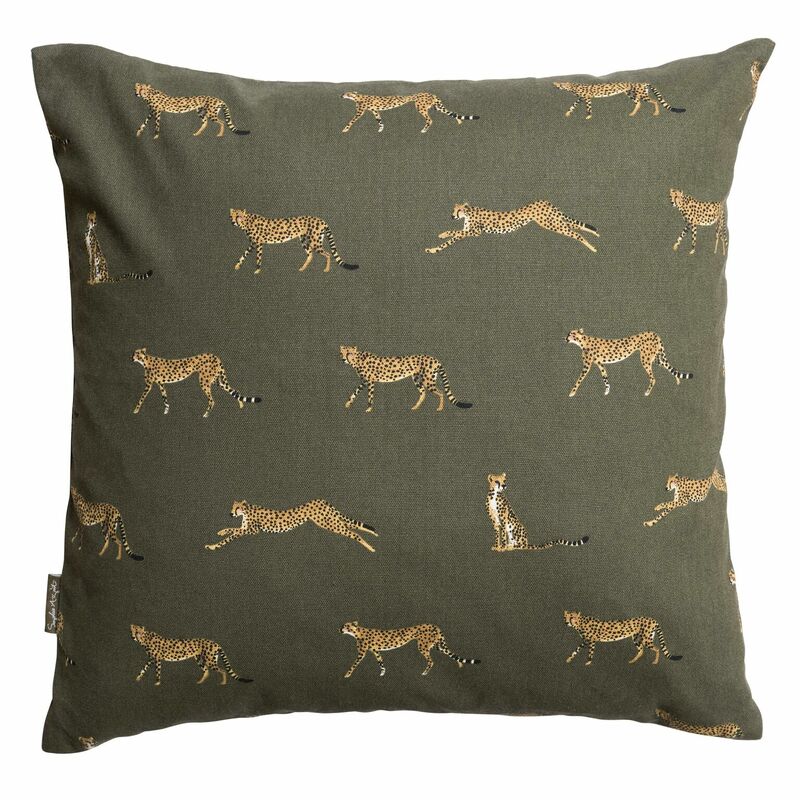 The cushion features illustrations of cheetahs which contrast beautifully against the dark green background. This super soft cushion will look perfect as a throw cushion on your sofa. A lovely gift or decorative piece! ZSL have teamed up with homeware designer and nature lover Sophie Allport to collaborate on the Animals of Savannah collection. This collection is inspired by the savannah which is home to some of the most awe-inspiring wildlife including the cheetah and African elephant which are under threat. This collection highlights these magnificent species as well as emphasizes the importance of protecting them. By purchasing these items, you are contributing to ZSL’s vital conservation work. A very good quality pillow. The covering is removable by a zipper if need be. The cheetah pattern is very nice and adds a unique addition to my couch ! Lovely cushion. Quick delivery. Good to see it wasn't packaged in plastic!